Roof inspectors will give you a clear picture of the type of products used in the current roofing structure and how much time is left before replacement is required. They can often predict if a problem will occur in the future. Even small items like flashing can result in huge expense if it’s not being maintained properly. I know of property owners that watched a roof literally peel off in a wind storm. They suspect the extreme wind was the greatest culprit, however they believe their foam sealed roof did not stand up as well as it should have. 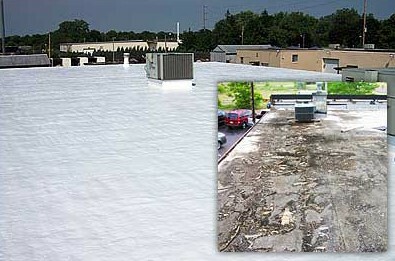 A roof inspector may have caught the deficiency that allowed this to happen in advance. It’s important to determine what kind of mechanical heating and cooling systems are in place when buying a commercial building. How are multi-tenant spaces zoned? Are there any existing issues with distribution? An HVAC professional can give you a pretty good estimate of the life expectancy of the units along with comments on the current maintenance schedule. If it happens that multiple HVAC units require replacement, that hit can be substantial to a new owner. Structural inspectors can be very useful in a commercial purchase because problems may not be readily obvious to non-engineers. They may be able to put you at ease with areas that look worse than they are; conversely, they can bring things to your attention that you may have never noticed. Some structural issues can be deal breakers and result in the eventual destruction of the property. If the building is priced with this consideration, you may start looking at the purchase based solely on its land value. Any of the aforementioned deficiencies can be expensive and also disruptive to tenancies. It’s worth examining the consequences of a building you know will require major repairs in few years. You need to consider how those repairs could impact vacancy. Consider this… if you have a portion of the building soon coming up vacant, the timing may be right to undergo those repairs on that vacant space as opposed to during an existing tenancy. The investment could even help secure higher paying, stronger tenancies. Some newer leases provide for capital repairs and replacements to be amortized into occupancy costs. If not, you can plan ahead to budget for the replacement or in the case of a major capital expenditure requirement, re-negotiate the sale price for an adjustment.